Receiving a citation for breaking an Ohio traffic law can be disturbing, but receiving a guilty charge can be devastating. The state of Ohio is strict when it comes to ensuring that its drivers follow traffic laws perfectly. A Toledo OH driver stands to face several consequences if a judge finds that person guilty of breaking traffic laws. The monetary fine is only part of the penalty. The driver may receive points on his or her license for the violation, and the points may affect that person’s life in an adverse manner. For example, an employer may turn down a job applicant for a driving position if that person has too many points on the license. The person’s automobile insurance rates may skyrocket, as well. 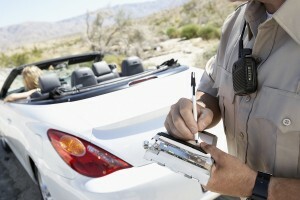 The traffic offense citation process usually begins with an officer stopping a driver on the road. The officer asks for the person’s driving credentials and then enlightens that person as to what he or she did to receive the ticket. The officer assigns a court date, and the person decides to appear to dispute the ticket. Otherwise, the driver visits the county website and pays the ticket online. Toledo has a Parksmart system that a driver can use to pay a ticket. However, paying a ticket is an admission of guilt for a traffic violation. The state will assign any points that may apply to the offense, and those points will remain on the driver’s record for several years. Every driver has the right to show up in court and defend himself or herself against an accusation. Drivers should consider going to court with a Toledo traffic lawyer. A traffic lawyer can help to defend a person no matter what the charge is. An accused person will want to contact an attorney in Maumee, Ohio who has a strong reputation and many years of experience. Client commentary can help an accused person to make an informed decision about a firm. A Toledo traffic lawyer can have a case dismissed if the accusing party failed in any of the previously mentioned areas. An accused person can obtain immediate protection by calling a traffic lawyer in Ohio today for a consultation.